For Delhiites, the year 2012 brought the possibility of a wider public transport network closer to reality with phase III of Delhi Metro getting off the ground. The third phase, which will cover an additional 108km of Delhi, will introduce two new corridors – Mukundpur to Shiv Vihar and Janakpuri (West) to Botanical Garden – besides extending the Central Secretariat line to Kashmere Gate. The year saw the closure of Delhi's celebrated Airport Metro Express. Launched in February 2011, the line closed amid safety concerns due to construction failures. The high-speed line, which connected the airport to the heart of the city, was discontinued after structural defects were found in the bearings, forcing trains to run at a low speed. The project, which – being the first PPP project – had been under intense scrutiny, was mired in controversy with DMRC and concessionaire Reliance Infrastructure blaming each other. On July 8, the line was shut for repairs. Mid-way through the repair, the concessionaire threatened to pull out, with the matter going to arbitration. The line, awaiting clearance from the commissioner of Metro railway safety, looks unlikely to resume operations soon. Commuters still had reason to cheer after Delhi Metro announced augmentation of its last-mile connectivity with addition of almost 600 feeder buses into its network. 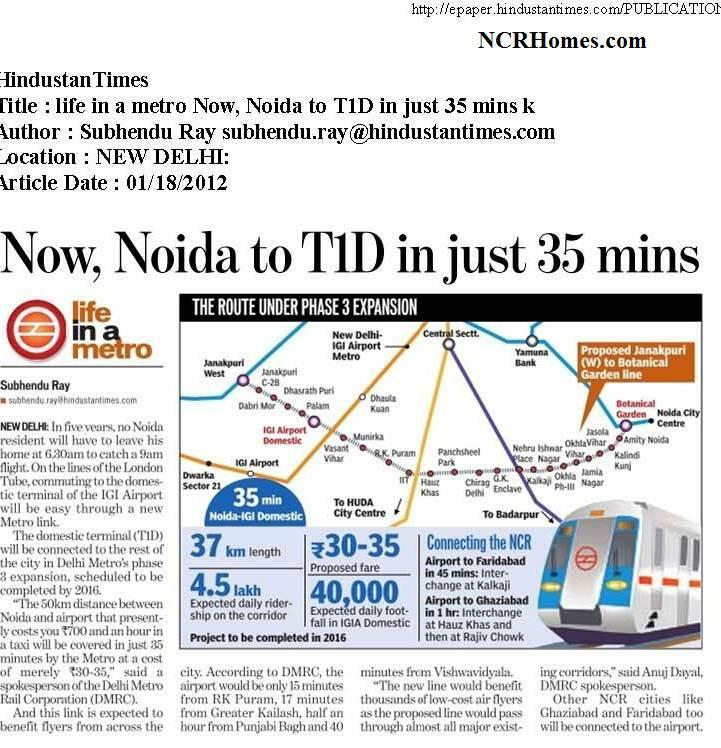 However, the project has been delayed with DMRC yet to decide a schedule for the launch. The service, which may add to the Metro's ridership, has been shuttling between the vendor and DMRC. While Delhi Metro claims the vendor has been chosen, the vendor says vehicles are not available as per specifications. Mumbai: Unfinished car shells rusting in a deserted factory in India's West Bengal state lie testimony to flaws in a century-old land-acquisition law the government now wants to replace. Tata Motors was forced to abandon its Nano plant in 2008 after violent protests by villagers, who claimed they were forced off the land by the local government and paid inadequate compensation. But companies say an overhaul of the old law envisaged to bring clarity to an often murky part of doing business in India goes too far in favour of rural landowners and will slow development, capacity expansion and economic growth. The proposed new land bill means cost increases and project delays for developers, thanks to rules that will raise land values and compel them to provide new homes, jobs, monthly stipends and a cut of future profits to former landowners. This just isn't going to work for buyers, said Rupen P. Patel, managing director of Patel Engineering , an infrastructure firm specialising in power and road projects. high-speed train proposal, Railways have joined hands with Japan to begin the ground work to reduce travel time by half on the Delhi-Mumbai corridor. Railways will procure a new set of trains with electric locomotives to run on the existing Delhi-Mumbai track. "The pre-feasibility study for running train at a maximum speed of 160-200 km per hour is being carried out by Japan on the existing Delhi-Mumbai route and they (Japan) will submit the report next month," said a senior Railway Ministry official involved with the project named Golden Rail Corridor. GREATER NOIDA: To ensure uninterrupted power supply across Greater Noida and Noida Extension, Noida Power Company Ltd(NPCL) is all set to begin work on a 400 megawatt power plant. The 400 MW combined cycle power plant with advance class gas turbine technology will be ready by 2014. The plant will come up in two phases. The first wing of the plant, having a capacity to generate 200 MW of power, will be completed by the end of 2013. In the next phase, another wing generating 200 MW of power will come up by 2014. NPCL is also working on setting up two smaller electricity sub-stations with the capacity of 33 KV and 132 KV that are expected to be functional within four months and a year from now respectively. The 33 KV sub-station will exclusively cater to the power needs of the Noida Extension-Greater Noida area. Once the 400 MW power plant is operational, authorities claim Greater Noida will get 24-hour power supply. GURGAON: The Centre on Sunday said that it would consider a demand by the Haryana government to build an express highway between Delhi and Chandigarh at an estimated cost of Rs 8,000 crore. "The Union government would earnestly consider the ambitious Rs 8,000-crore project of the express highway from Delhi to Chandigarh along the river Yamuna," an official statement quoting road transport minister C P Joshi said. Besides this, the transport ministry is also considering the state government's request to convert eight state roads into national highways, the statement said. It added that the road transport minister was responding to a request made by Haryana CM Bhupinder Singh Hooda's request at a foundation stone-laying function of the four-laning of the Rohtak-Panipat section of National Highway-71 A at Gohana. The 81-kilometre-long four-laning project would cost more than Rs 800 crore and is likely to be completed by October, 2013.
realty check – Home fix: buy or rent? Apartment prices up and interest rates are going up. The big question for people trying for a dream home with rising equated monthly installments (EMIs) these days is: should one buy a flat or does it make more sense to live on rent and wait for better days to make a purchase? It has all the trappings of a perfectly planned residential area, worthy of making any house-hunter drool-wide roads, neatly built and affordable flats, abundant water and power, huge parks, markets, banquet halls et al. Most importantly, it offers the biggest catch of them all–a Delhi pin code. And despite this, the 8,000-odd flats in Narela, built by the Delhi Development Authority (DDA), have a handful of residents scattered across its different pockets. In some pockets, the only form of life is a lone property dealer, sitting in his decked-up office, waiting forever for that elusive customer.